A few months ago, Michael and I were brainstorming ideas on how we can aggregate our different interests into something that could benefit our community. Michael was interested in recycling our used computers. I was interested in helping out kids in our neighborhood. We both wanted to increase awareness about Ubuntu. We settled on the idea of converting unused computers to Ubuntu desktops we could install at Cleveland Elementary school. 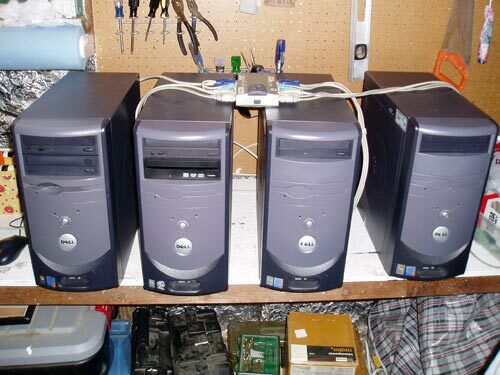 Since its inception, we have installed seven desktops, and have 12 more being updated in my garage. 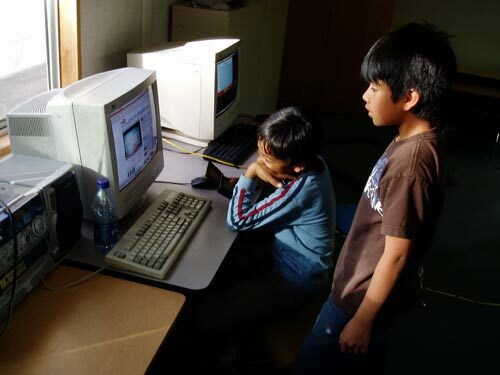 We have also helped start a computer club on campus, which we attend once a month to instruct students. So far, the kids are loving it. It’s amazing how easily they gravitate toward the Ubuntu operating system, and how much they enjoy learning computers after school. I believe we have some future Linux Systems Administrators in the making. Maybe LTSP is interesting for your target too. I believe that Edubuntu would be a better fit for the classroom. Same Ubuntu foundation, more education programs and LTSP. Oops. I neglected to mention in the post that we are using Edubuntu. The additional software CD has a wealth of educational games and programs. It’s kinda like nature, young minds and saplings can be bent but adult varieties break rather than change direction. An adult is lost if you change the start button to Menu button even though menu is probably a better description. If an adult can mount that hurdle they can be on their way to owning their own computer again. Be sure to check out the current Tux4Kids programs at http://www.tux4kids.com (Tux Math and Tux Typing) and at http://www.tuxpaint.org (Tux Paint). All are in (Edu)buntu and other Debian-based distros, but we have more current versions at the web site. They are all completely free GPL software and are fun, educational, and family-friendly. They are all native Linux apps but also have win32 and MacOSX builds.